Who is who? | Sugoi Stuff Who is who? Home » Entertainment » Who is who? Hugh Laurie? Abe Hiroshi? I’m confused! You’re confused because they’re both great and awesome actors and you have a crush on them both? Or… you have a crush on them both? 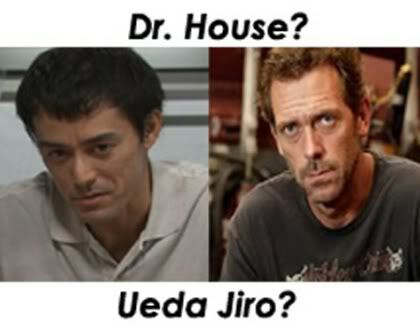 haha, other than having gorgeous good looks and bearing an uncanny resemblace, both of them share the same sarcasm in the hit dramas, kekkon dekinai otoko and House too!